What do people need the most when they create website or blog? Of course they are seeking for easy managing, multipurpose functionality and simple customization. These main principles allow us to prove out that such great product as WordPress takes its rightful place on the top of CMS pyramid and it’s absolutely clear why. Nobody wants to spend a lot of time and money for building his/her website in the proper way, trying hard to figure out all necessary things which will be quite important for his/her web project. And WordPress is one of the most popular applications in web design surrounding not only for its handy usage, but also for its technological effectiveness and versatility. Pursuing the aim to help you join the WordPress community, we've gathered for you the following WordPress theme design tutorials which will assist you in managing your work with WordPress theme and will teach you how to develop it step by step. Agree that when you have already a constructive tutorial with a website’s example and detailed explanations – it becomes not so difficult to understand its structure and start building your own WordPress theme. 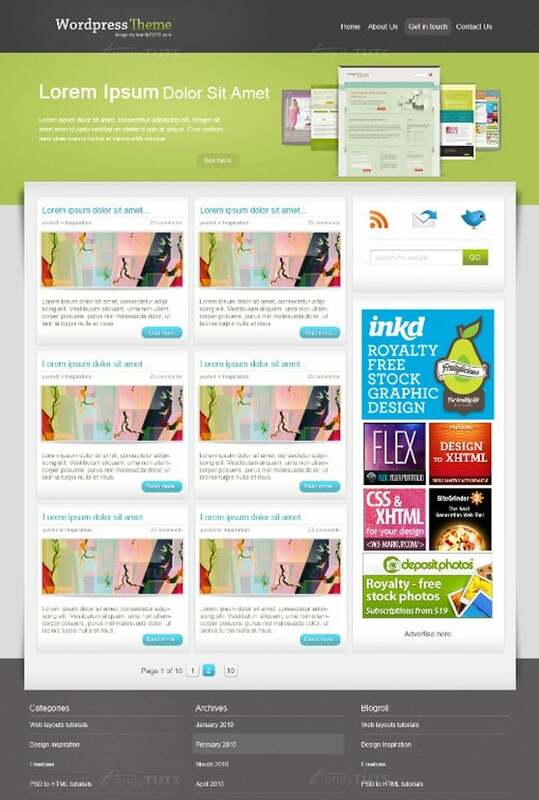 So use these perfect WordPress tutorials, build a WordPress theme and save your time! Found myself in the web design jungles, I choose to stay here and find my path to discover more new things about it and develop my web nature at the same time. Happy to highlight miscellaneous topics about web design, I joined TemplateMonster's team to be the really girlish part of it. When I am not creating my writings, I like traveling, dancing, reading and of course everything that connects with the design and its new trends, starting from the web and ending by the fashion. Ann Hudson on Google+.